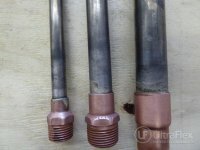 • Copper male adapter fitting. 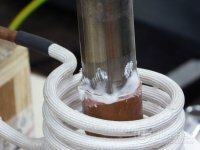 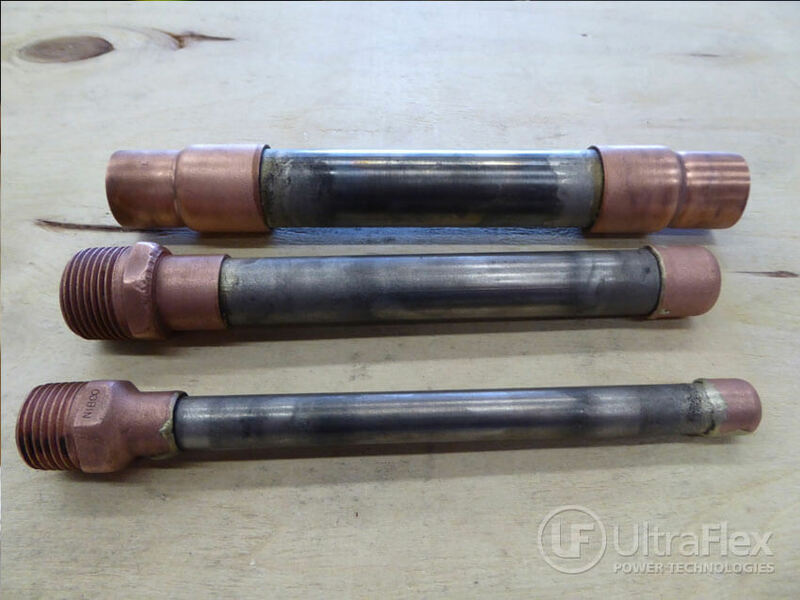 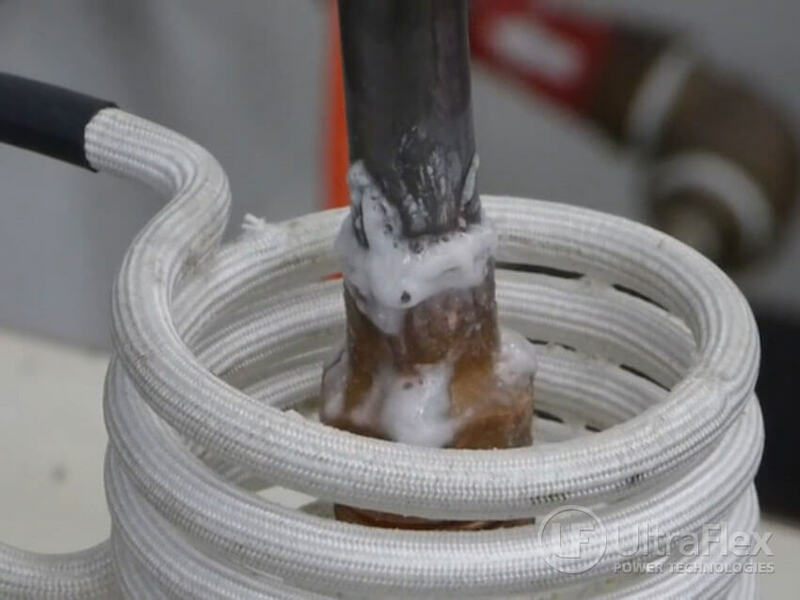 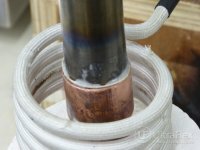 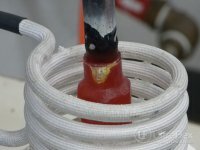 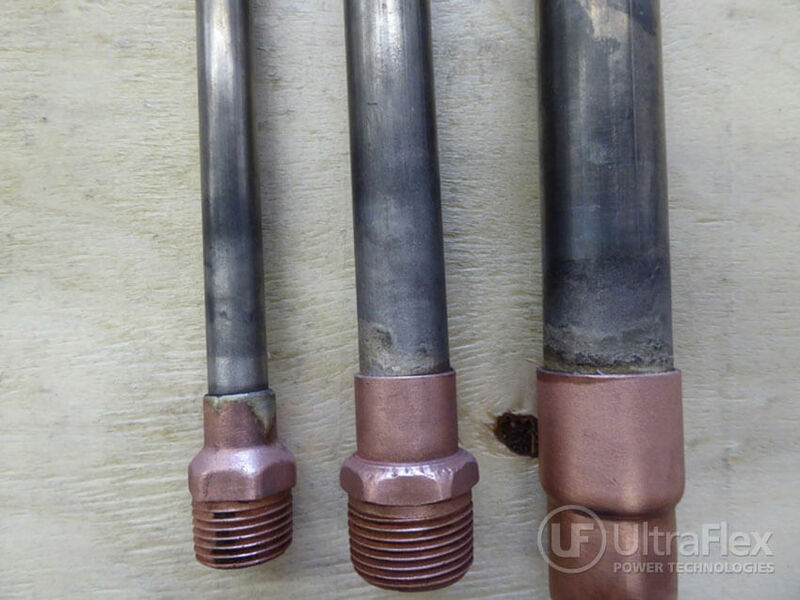 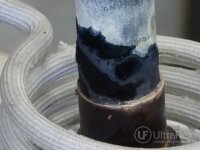 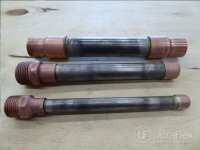 Tubes and fittings were pre-fluxed with the provided Superior TBA-1 flux. 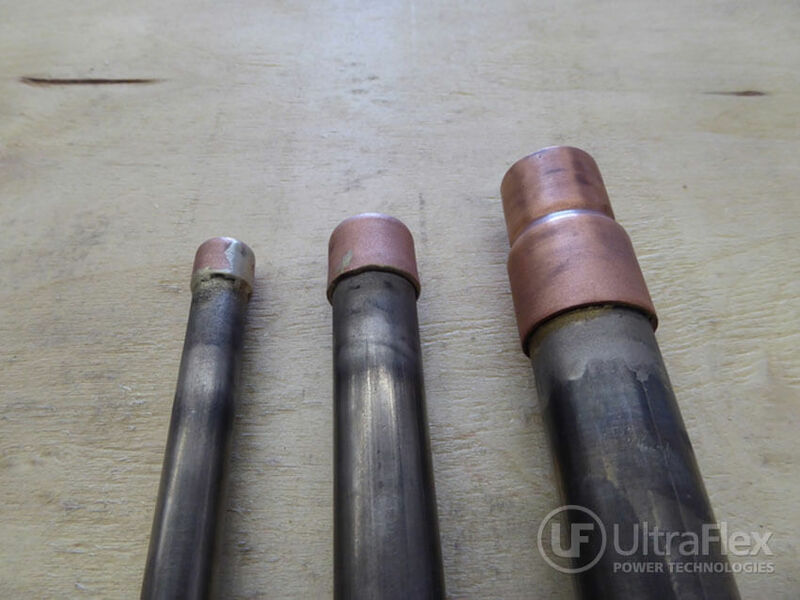 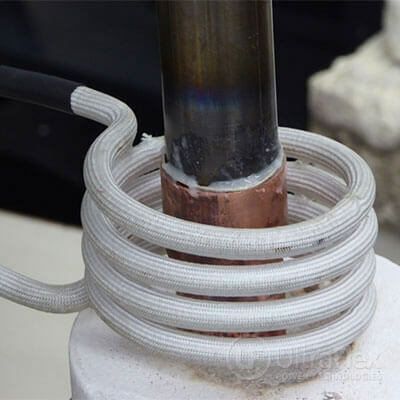 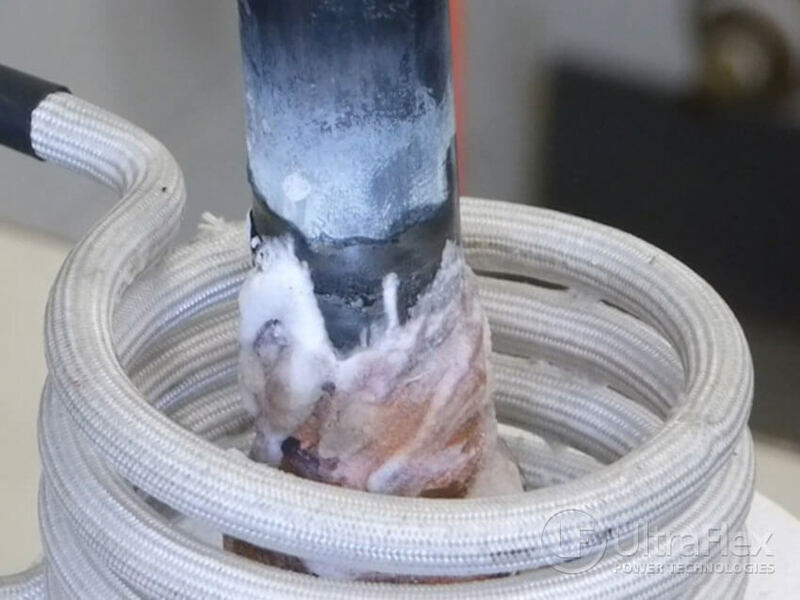 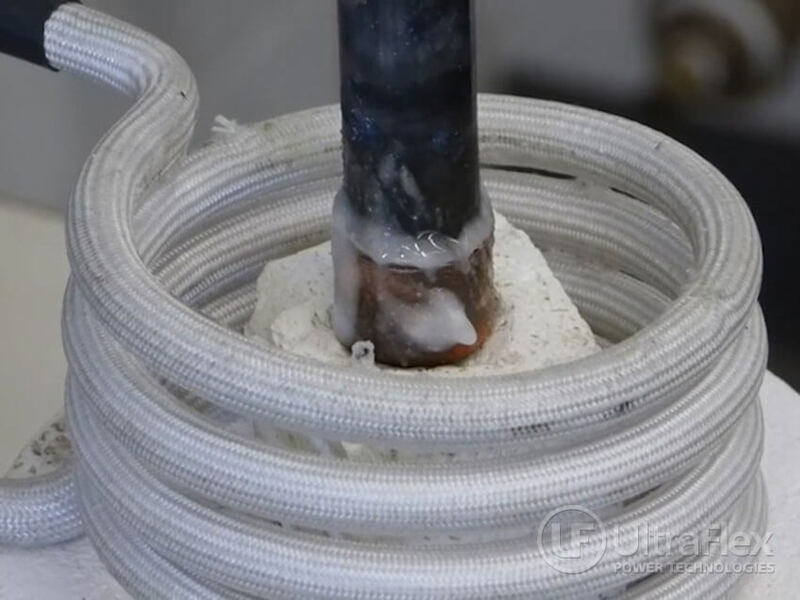 The alloy wire provided apparently is designed for Hand Feed – winding the pre-formed ring was extremely difficult as the wire can only withstand a limited amount of torque pressure prior to snapping. 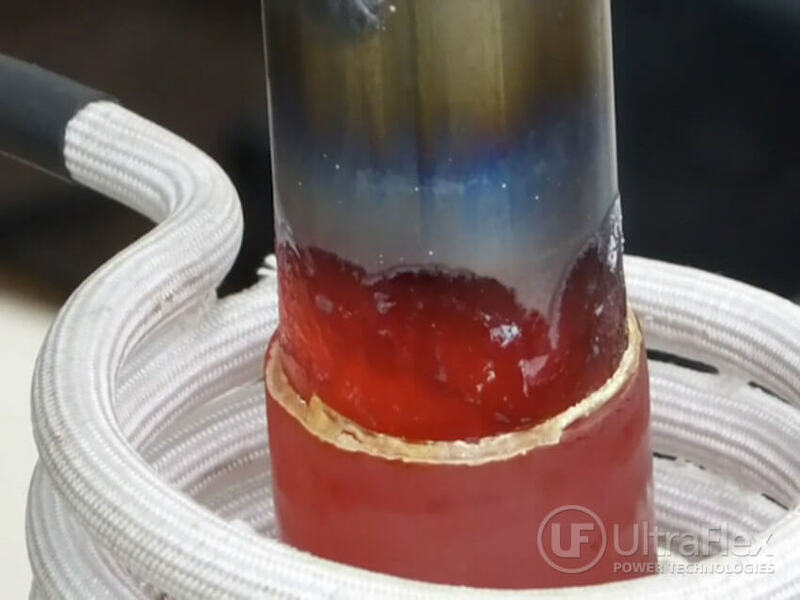 It was not possible for the lab to make a consistent ring to fit both flat and snug against the tube at the interface of the joint. 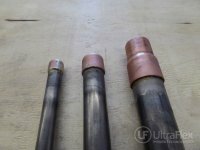 Test 1 – Based on the loose fit, we were not able to determine if the volume of alloy completely filled the gap between the tube and fitting. 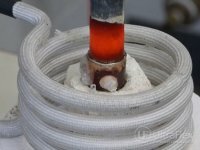 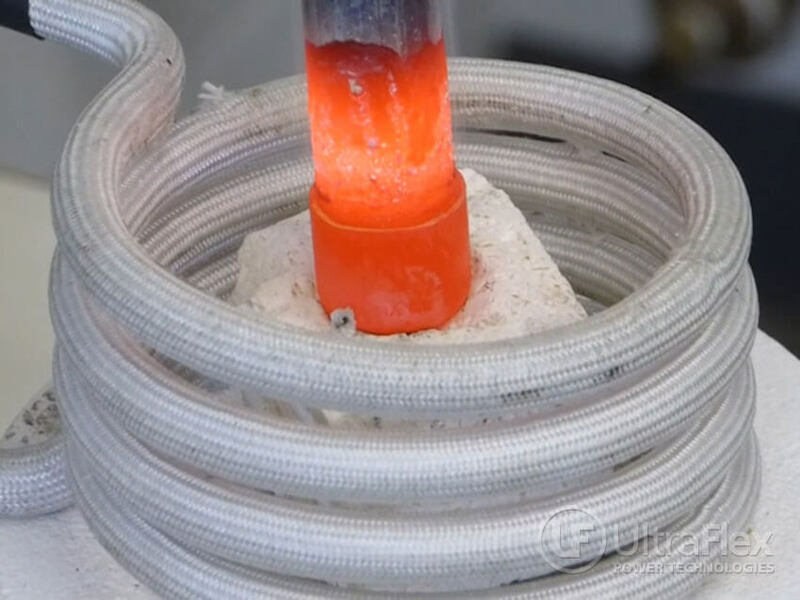 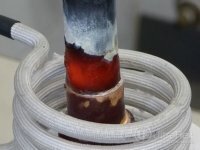 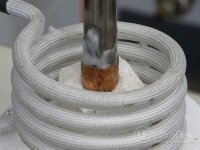 The alloy flows (video) but more than one ring may be needed to fill the gap between components if they are loosely fitted. 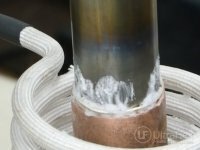 For most braze joints, the recommendation is to have .0015” to .002” radial clearance to accept the molten alloy when using a pre-formed ring. 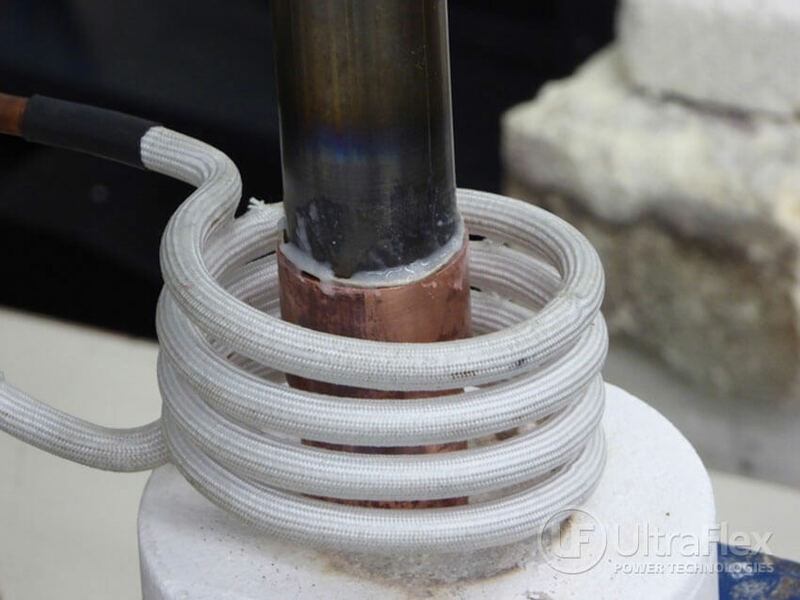 The assemblies can be heated to flow the alloy at different heat times based on the part size using one load coil. 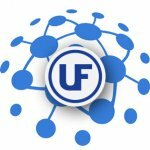 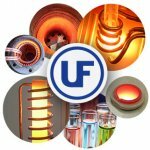 Implementing an Ultraflex induction system can help you reduce manufacturing costs, increase energy efficiency, improve safety and meet your lean manufacturing objectives.